The Caribbean Writer is going places, and Volume 25 will take readers to Haiti, originally known as Ayiti, land of high mountains. Opal Palmer Adisa, the editor, decided to focus this special, silver anniversary issue on Haiti for two reasons: first, to pay homage to their survival of the 2010 earthquake that devastated the country and killed over 100,000 thousand of its people. And secondly, to commemorate their role as freedom fighters, they being the first to wage war and win their freedom in 1803. 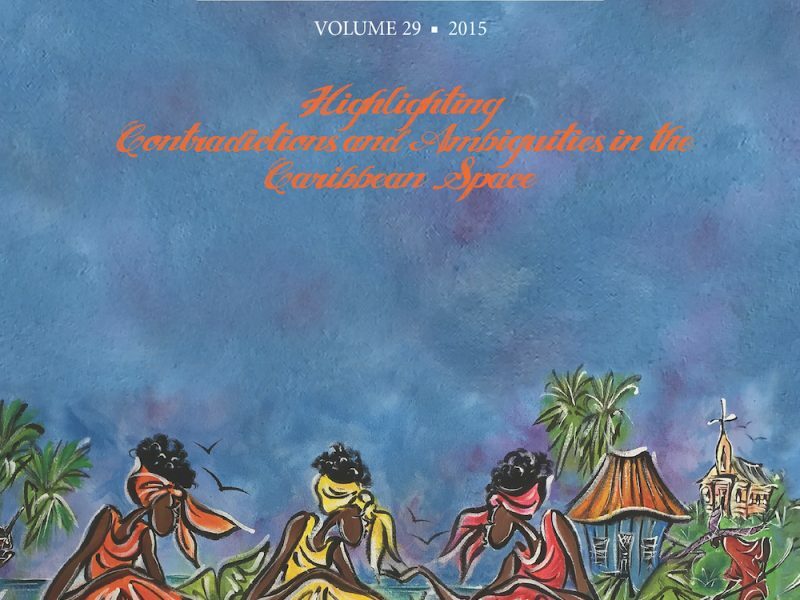 Volume 25 also marks a new epoch in the journal’s trajectory as being a seminal publication in the Caribbean region. With this first bi-lingual issue, English and French, The Caribbean Writer is forging ahead to reach a wider readership in the Caribbean region, as well as position itself for a more diverse international market. The Caribbean Writer is going places, and Volume 25 will take readers to Haiti, originally known as Ayiti, land of high mountains. Opal Palmer Adisa, the editor, decided to focus this special, silver anniversary issue on Haiti for two reasons: first, to pay homage to their survival of the 2010 earthquake that devastated the country and killed over 100,000 thousand of its people. And secondly, to commemorate their role as freedom fighters, they being the first to wage war and win their freedom in 1803. In addition to providing readers with glimpses of both of the above mentioned historical events, Volume 25 features prose and poetry by some of Haiti’s local as well as internationally celebrated writers such as Edwidge Danticat, winner of the 2009 Fellow ‘Genius Award,’ Évelyne Trouillot, novelist and professor at Haiti’s State University and Marilèene Phipps-Kettlewell, winner of the Iowa Award for short fiction. It also showcases the works of emerging Haitian-American voices such as Michelle Y. Remy and Wilna Julmiste. Volume 25 also marks a new epoch in the journal’s trajectory as being a seminal publication in the Caribbean region. With this first bi-lingual issue, English and French, The Caribbean Writer is forging ahead to reach a wider readership in the Caribbean region, as well as position itself for a more diverse international market. The volume opens with congratulatory remarks by Governor John P. de Jongh, Jr., UVI’s President David Hall, Provost Karl Wright, Vice Provost for Research and Public Service, Henry H. Smith, Founding editor Erika J. 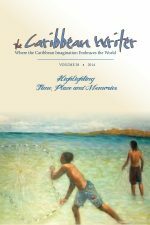 Waters and an introductory overview by editor Opal Palmer Adisa, who references her January 2011 trip to Haiti to bear witness. This 640-page edition, features 70 pages of poetry by some of the leading Caribbean poets including Kamau Brathwaite, Jennifer Rahim, Ernest Pépin and Sonia Sanchez, plus 100 pages of prose, a special section on Haitian Art and interviews with Earl Lovelace, who recently won the 2011 Caribbean Literary Prize, and Trinidad-American writer, Elizabeth Nunez. The next section of the journal (pages 403-594) is in French, and editor Adisa, in the acknowledgement section, called on colleagues and friends from various universities and other sites around the country to make this dream of a bi-lingual issue a reality. 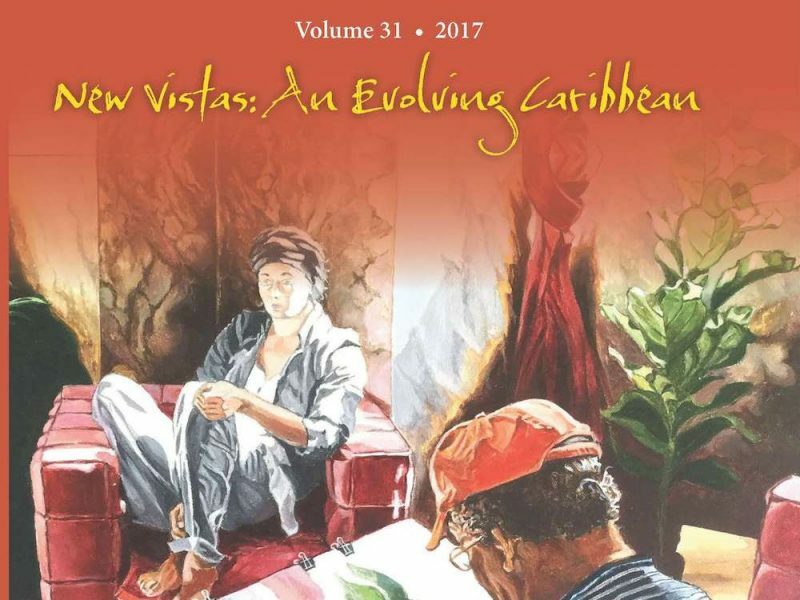 Volume 25 is historical and a collector’s item for three reasons, its emphasis on Ayiti/Haiti, its assemblage of many of the most important Caribbean writers today and its bi-lingual edition to celebrate being 25 years old. 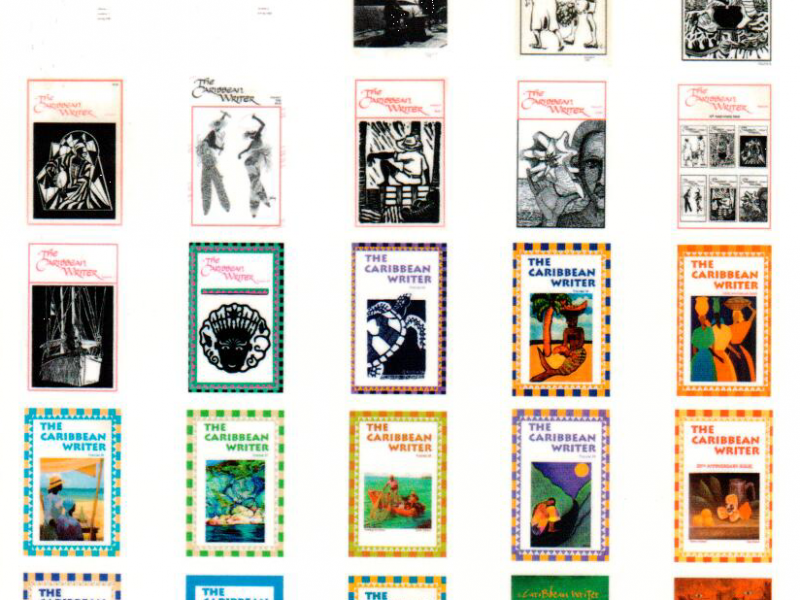 The Caribbean Writer, an international literary journal published by the University of the Virgin Islands, showcases the literary production and visual works by Virgin Islanders as well as others from the greater Caribbean region. The cover art work for this special issue features the painting of Pasko “Easter Rock” Mérisier, renowned Haitian painter who resides between Haiti and France. Interior art includes works by Sam Doudou, André Eugène, Chéby, and Evelt Romain, some of the most innovative artists in Haiti today. Locals writers who are included in this collector’s volume are Arnold R. Highfield, writer, historian and professor emeritus of UVI, Daisy Holder Lafond and Winifred “Oyoko” Loving, and book reviews by current professors such as Simon Jones-Hendrickson, Gillian Royes, Lomarsh Roopnarine, Valerie Combie and Lucia R. DiMeo. To maintain its credentials as a referred journal in the academy, works were selected blind by the local editorial board comprised of Edgar O. Lake, President of the Society of Virgin Islands Historians, Alscess Lewis-Brown, Director of the Human Resources Bureau of the VI Police Department, Kenny Hendrickson and Dolace Mclean, professors from both UVI campuses.